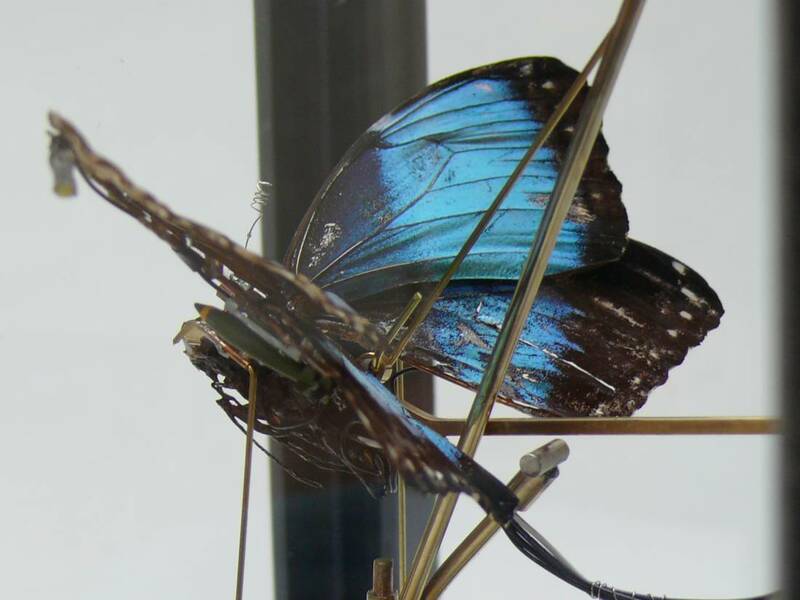 This butterfly, Morpho Achilles 10 years from now, is equipped with a head-up display, a communications antenna and wing fitted weapons like fighter pilots have. 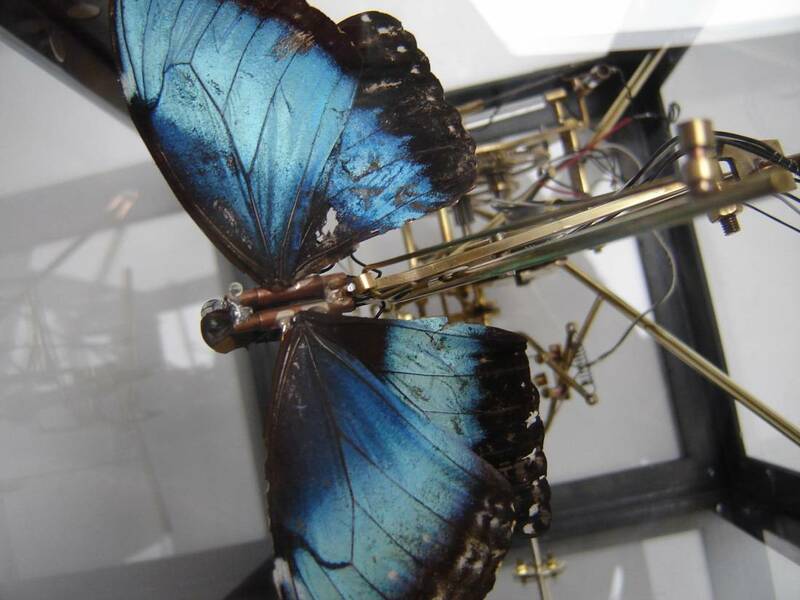 Completed with wingtip mounted strobe-lights and a anti-collision light, this butterfly represents one of the warriors of ‘the hidden war’. 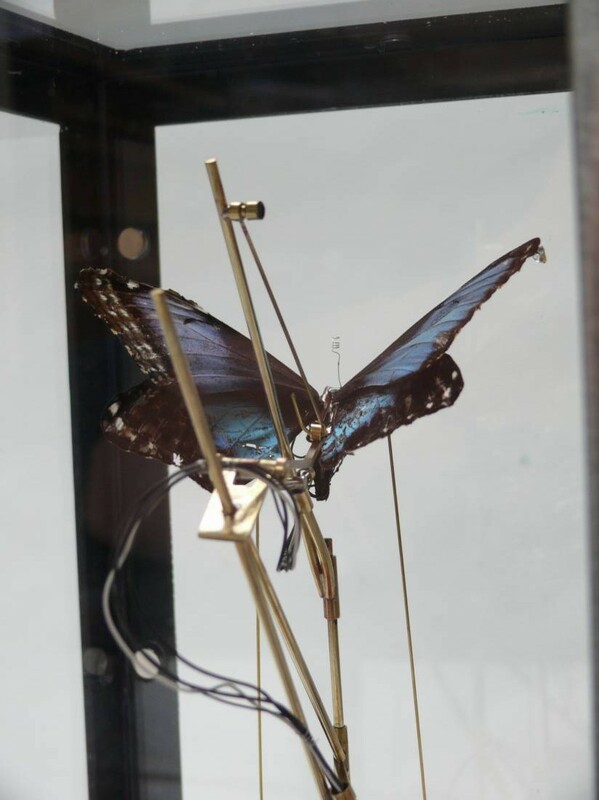 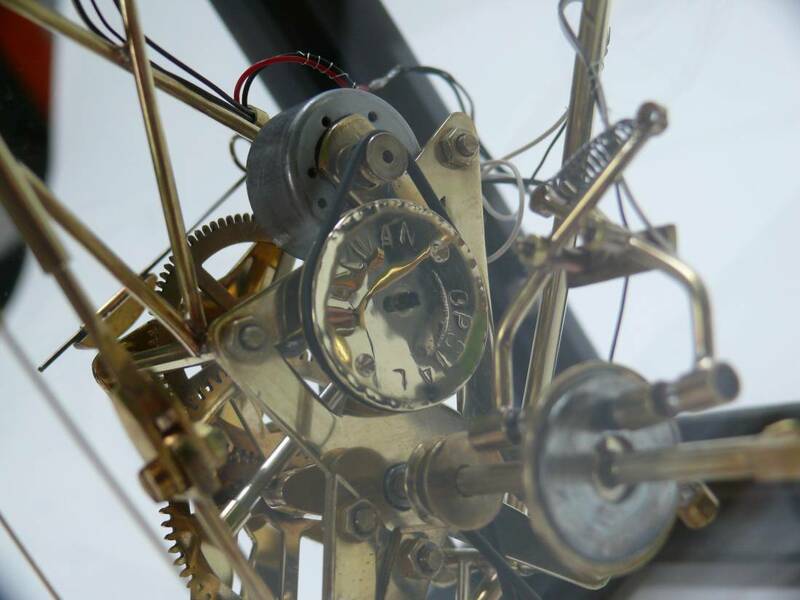 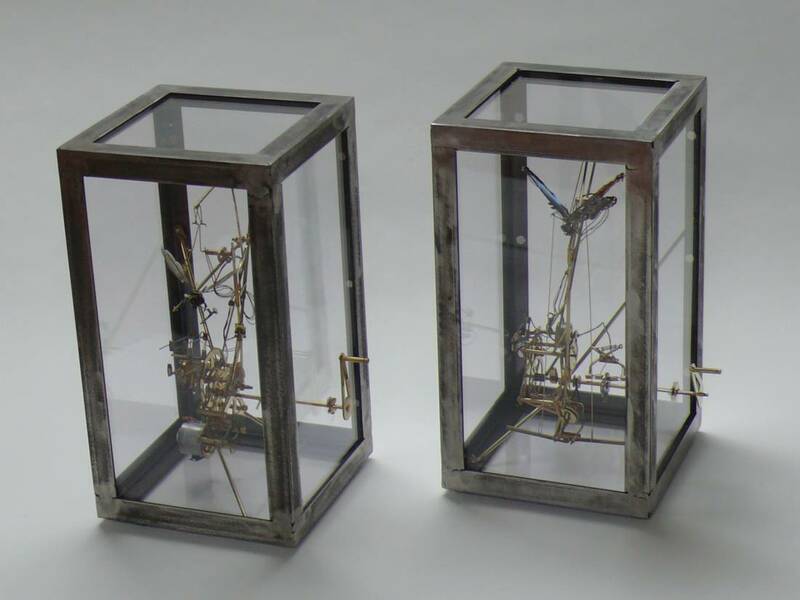 By operating the hand crank the butterfly is reanimated in flight.